Early on, there was a stretch of time when I was the only associate working with four partners; so I found myself dealing with the same problems time and again. I quickly figured out that it saved me considerable time and effort if I became a hoarder of information and go-by documents. I developed a knack for drafting retirement orders and I have amassed a collection over the years of helpful articles and websites, model language, plan information and, most importantly, experience in how to fix things that go wrong with those pesky little orders. DON’T treat retirement orders as an after-thought. In my experience, it is not unusual for family lawyers to settle a case and provide for division of “the marital portion” of all retirement assets “by QDRO” in the settlement document, only to discover after settlement that the division cannot be accomplished “by QDRO” at all, or at least not by the method the lawyers anticipated at the time of settlement. It is considerably less expensive for the client when the nitty gritty details are considered and negotiated as part of the overall settlement rather than paying a lawyer after-the-fact to figure out a way to effectuate the parties’ original intentions. DO contact the Plan Administrator prior to any mediation, settlement, or dispositive hearing regarding the retirement assets. I believe a lawyer should read the model language and plan requirements prior to settlement (and certainly before trial) so that the lawyer understands the type of plan to be divided, the options for dividing that plan, and what variables should be addressed in the final settlement (more on this below). Always call the plan, ask questions, and get a copy of any available model language and plan procedures prior to settlement or trial. Tip: You can talk to most plan administrators or QDRO departments by calling the participant’s employer and/or the 800-number listed on the participant’s retirement statement. If you get to an automated system, shout “operator!” loudly until the automated system gives up and transfers you to a live person. You should make clear to the live person that you are not seeking information about a specific participant but that you want only model language and plan procedures. If the live person is not helpful, ask to speak to the person’s supervisor and continue to work your way up to the “QDRO person” or legal counsel, who likely will be more knowledgeable about the QDRO process and what information you need and are entitled to. DO prepare a draft retirement order prior to mediation or settlement so that the order can be executed by the parties contemporaneously with the settlement document. This step will force you to think about the details of the division process as part of the negotiations, so that the final settlement can resolve all variables (again, more below). A contemporaneous signing of the retirement order also minimizes the delay between settlement and when the order goes to the Plan Administrator for approval, which mitigates the risk that something unexpected will occur that impacts the retirement division (such as the death of a party or the plan’s refusal to calculate gains/losses during that time period). DO understand the type of plan(s) to be divided between the parties. For example, defined benefit plans, typically referred to as “pensions,” cannot be divided by a lump sum rollout to the alternate payee. “Cash balance pension plans” may offer the option of selecting a lump sum rollout in lieu of a monthly benefit payment. “Annuities” typically are not retirement assets but, instead, are life insurance products that do not require a court order to be divided (i.e., the parties fill out the company’s paperwork and the company divides the plan per the parties’ instructions without a court order). “Supplemental” plans typically are not subject to ERISA and cannot be divided by court order unless the plan voluntarily elects to honor a court order. A participant’s contributions to a governmental pension plan are not necessarily equivalent to a lump sum value for the participant’s interest in the plan. There are many, many more examples of different types of plans and how those differences could/should impact a settlement. Be informed before settlement so you can negotiate an outcome in the best interest of your client and that actually can be accomplished between the parties. DON’T assume that the parties will work out the details later. As I mentioned above, there are too many variables among plans to use one-size-fits-all generic settlement language. When I draft settlement documents, my retirement section uses the actual language from the draft retirement order so that the agreed-upon terms are clear to each party during the settlement process. Some variables to consider: What does each party mean by “marital portion” of the retirement benefits: the monthly payment the participant was entitled to as of date of separation or the coverture fraction? Is alternate payee’s share to be determined as of a specified date and does it accrue gains/losses until date of distribution? How should the plan administrator treat any loans against the account in the distribution process? Is alternate payee selecting a separate interest division of the pension or does s/he want a shared interest plus a survivor beneficiary option? If the alternate payee is receiving a survivor benefit, which option must the participant select and which party bears the cost of paying for that option? Can this retirement benefit be divided prior to entry of a final divorce judgment and, if not, how will you protect the alternate payee’s interest pending divorce? If the plan charges a fee for processing the retirement order, which party is responsible for payment of that fee? What happens if either party remarries? What happens upon the death of each party? DO account for tax consequences in settlement negotiations. Sometimes it benefits your client to mix pre-tax accounts with after-tax accounts in negotiating a property distribution. Be sure you think about this issue, though, and make a deliberate decision along with your client to treat pre-tax retirement accounts in the same manner as non-retirement accounts (or Roth accounts) for negotiation purposes. I typically run the settlement calculations with all pre-tax (non-Roth) retirement assets in a separate chart from the other non-retirement assets so that I can see how the math works to equalize the retirement assets separately from the other assets. This method results in both parties equally sharing the tax consequences of liquidating retirement assets, at least as a starting point for negotiations. There are many reasons why parties settle for a different outcome and many moving parts to a settlement that may result in some other approach, but those outcomes should be deliberate choices and not the result of failing to consider the different tax status of the retirement assets. DON’T caption your order as a “Qualified Domestic Relations Order” or “QDRO.” An order to divide an ERISA retirement plan is “qualified” only once the plan approves the order and sends a letter of qualification. Until the qualification letter has been issued by the plan, an order applicable to an ERISA retirement plan should be caption as a “Domestic Relations Order.” It typically is not fatal to the order if you caption it as a “QDRO” but technically it is incorrect (which makes this my personal pet peeve) and some plans are nitpicky about this terminology. Governmental plans, IRAs, and non-ERISA plans are NOT subject to division by “QDRO” (which means they may not accept an order captioned as a “QDRO”) but those plans often are divisible using some other type of order. Reservation of Jurisdiction. The Court reserves jurisdiction to amend this Order to establish or maintain its status as a QDRO under ERISA and the Code and to effectuate the original intent of the parties that a portion of Participant’s Plan account shall be distributed to Alternate Payee as stipulated herein. The Court shall also retain jurisdiction to enter such further orders as are necessary to enforce the assignment of benefits to the Alternate Payee as set forth herein. DO contract out your retirement orders to a competent and experienced lawyer. A good lawyer familiar with retirement orders can help you negotiate a final settlement using creative retirement solutions. A competent QDRO lawyer should be able to prepare the final orders more quickly and at a reasonable cost. I have drafted orders for other lawyers on a flat fee and an hourly basis and I typically can give a reliable cost estimate at the outset of the representation. Take advantage of the knowledge of others to be sure that your clients get the best possible outcome. Jill Jackson joined Tharrington Smith, LLP, in 2001 after completing a clerkship with Justice Sarah Parker of the North Carolina Supreme Court. She is a Board Certified Specialist in Family Law. Her practice is devoted to family law and appeals. 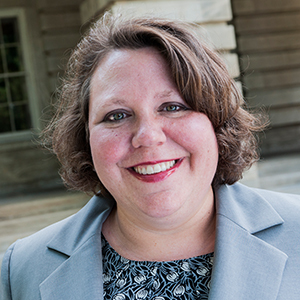 Jill served two terms on the Family Law Specialization Committee of the North Carolina State Bar Board of Legal Specialization and currently serves on the Grievance Committee of the 10th Judicial District Bar.